Ri Chun-hee (also romanized as Ri Chun Hee and Ri Chun Hui; born 8 July 1943) is a retired news anchorwoman for North Korean broadcaster Korean Central Television (KCTV). She is most notable for her characteristic emotional and sometimes vitriolic tone, described as “passionate”, “vaguely menacing”, and “aggressive”. Ri made the official announcements of the deaths of Kim Il-sung in 1994 and Kim Jong-il in 2011. In a news report by CCTV News on 24 January 2012, Ri announced her retirement as chief newsreader at KCTV. She has periodically reappeared on television in the years since, typically to make an announcement regarding the country’s militaristic developments. Ri was born in 1943 to a poor family in Togchon, Gangwon, Japanese Korea. She was cultivated by the North Korean government because of her background of abject poverty, which is considered a sign of political trustworthiness in the country. Ri studied performance art at Pyongyang University of Theatre and Film and was recruited by KCTV. Ri began work onscreen in 1971, became chief news presenter of KCTV in 1974, and was consistently on‑air from the 1980s. Her career was unique for its longevity; while many at KCTV were demoted or purged, her career was never interrupted. After retiring in January 2012, she came out of retirement especially to announce that North Korea claims to have carried out an H-bomb detonation in January 2016 and that North Korea had launched a missile in February 2016. She also announced the nuclear test of September 2016. Ri has received high acclaim from the North Korean authorities for her resonant voice, impressive mood and outstanding eloquence. She is known for her melodramatic announcing style. She often speaks in a wavering and exuberant tone when praising the nation’s leaders, and conversely with visible anger when denouncing the West. According to Brian Reynolds Myers, a professor at Dongseo University and an expert in North Korean propaganda, her training in drama serves her well, given the large amount of showmanship that is typical of North Korean broadcasting. When she made the official announcement of Kim Il-sung’s death in 1994, Ri was visibly crying during the broadcast. Likewise, when she announced Kim Jong-il’s death in 2011, she was seen holding back tears. 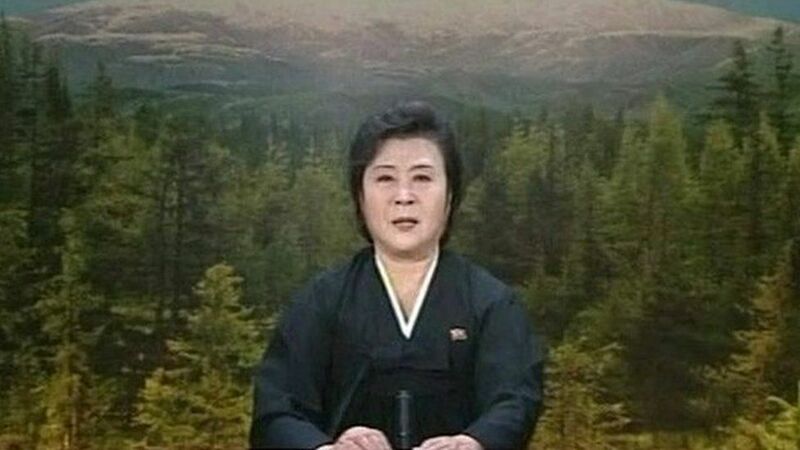 Her melodramatic style has been parodied in the character of Kim Bong Cha, a North Korean correspondent on The Noose.